Are you one of these emancipated women we’re having so much trouble with at home? 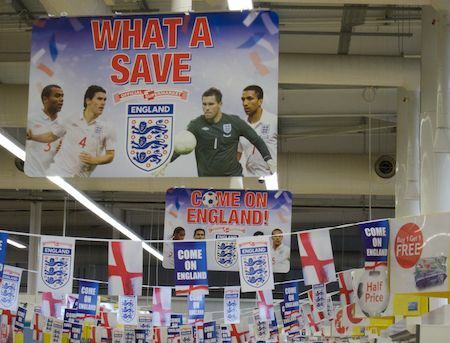 I know very little about spectator sports, as can be demonstrated by the fact that I only found out two days ago that the World Cup was starting yesterday. No doubt the young marketing chappie who thought up this excruciatingly clever play on words now feels a little foolish. This, of course, is why you really need Digital Signage: so your message can react quickly to changing events! I’ve just seen a very inspiring gadget: the Pool-Mate, from a small UK company called Swimovate. 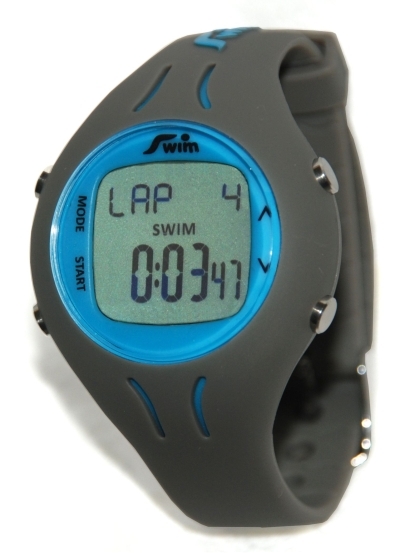 It’s a watch designed for swimmers, which will count your strokes, laps, etc and provide a variety of statistics about your swimming. It’s an elegant design, simple and affordable – nothing flashy. This may be of limited interest to those who aren’t serious swimmers, but the bits that inspired me were twofold: Firstly, the watch contains a simple two-axis accelerometer. By analysing the movement of your wrist, it can tell all sorts of things about your swimming. This is a lovely bit of signal processing done with very limited CPU power, and with no calibration required. Remember, the signals will be different for each person, and also for each different stroke, arm movements for breaststroke being very different from those used for front crawl. The second thing that inspired me was meeting the CEO, Lisa Irlam, and hearing how she and her husband built the prototype and then the product with their own funding on a very limited budget. They deserve to be proud, both as technologists and as business people. All my spare energy is going on dog-walking at present, but if I ever get back to swimming, I’ll have to get one of these!